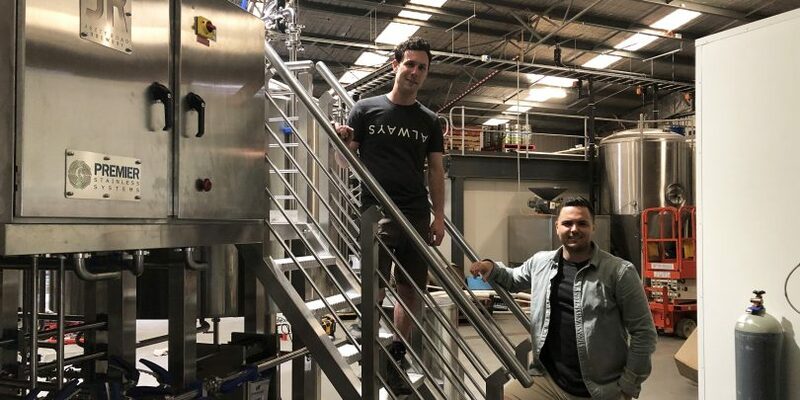 Almost one year since opening its restaurant and taproom on the Mornington Peninsula, Jetty Road is about to finish the install of its very own production brewery. 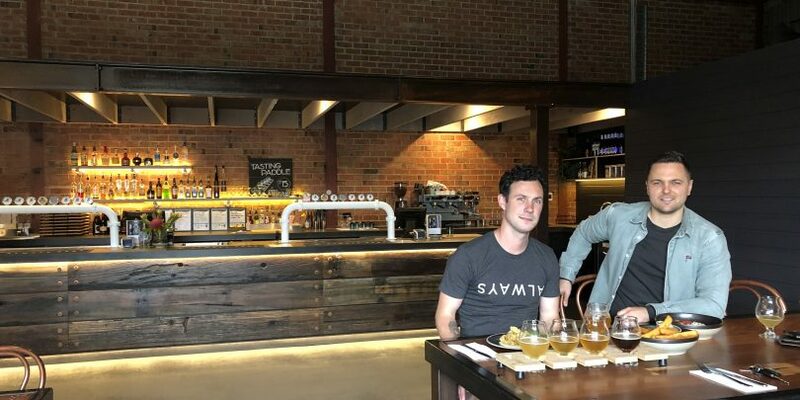 Jetty Road is the brainchild of best mates Blake Bowden and Grant Rogers who, like so many of their counterparts, started their journey by homebrewing out of a garage in someone’s backyard. Together with co-founders Nick O’Brien, Jonothan Pritchard, Simon Weir and Shayne Bland, Head Brewer Bowden and Managing Director Rogers now run a successful restaurant and taproom and, very soon, their own brewery. Bowden said that Jetty Road has been contract brewing at a number of production facilities for almost three years. 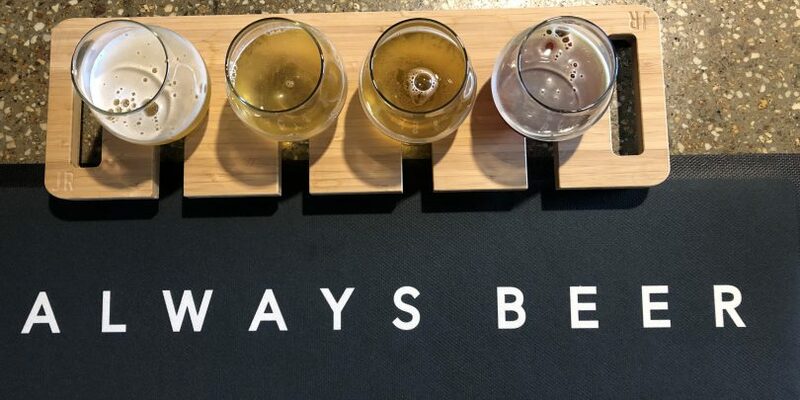 “I’ve enjoyed the process because I’ve been able to network with a whole lot of brewers and brewing companies in the industry but also see each brewery’s different processes and how they go about things and a bit of an educational tool as well,” Bowden explained. The brewhouse, which is now upright and looking pretty much ready-to-go, is a 25hl Premier Stainless three vessel brewhouse. Across from the brewhouse stand three 50hl fermentation tanks, a 25hl fermenter and a 50hl bright tank. Bowden said that he is already looking to add more tanks for extra capacity. Since ordering the brewery in February this year, the brewery floor has been dug up to lay an entirely new concrete slab, complete with falls and strip drains. The site’s mains water, gas and electricity were also all upgraded. An industrial mezzanine has also gone in, which will store ingredients and brewery waste. Bowden said that it was a push to get everything ready in time for when the brewhouse arrived, so he was glad for the six month lag. The brewhouse should be up and running by November 19. Bowden said that he’s looking forward to being able to control every aspect of the brewing process. Bowden said that for all of the benefits of contracting, it also has its challenges. “Everywhere that we’ve brewed the brewers have been fantastic and they create a great product, it’s just there’s a logistical nightmare for me, to either be there or to try and get all the ingredients to that one location and then get kegs picked up and some put into logistics and the others come to us for our venue. “Trying to find a way to get all the ingredients into one place at one time is always a bit of a nightmare. Bowden said that he’s also just incredibly keen to be doing the job that he’s “passionate about and employed to do – actually brewing instead of just being a project manager and keyboard warrior at the moment”. “It’s been kind of like dealing with Telstra everyday,” he joked. Having had most of its beers released in keg, Jetty Road now has a Pale Ale and IPA in cans, with a Draught can release coming by the end of the month. With an Amber Ale and Mid-Strength on tap at the taproom, Jetty Road now boasts five core range beers. Jetty Road is located at 12-14 Brasser Ave, Dromana, VIC 3936. Read more: How​ ​to​ ​start​ ​a​​ ​brewing​ ​company​: Part One.